One word: epic! I never thought I'd say this again after James Cameron's Avatar. The Avengers wasn't a 3D epic set in a faraway place. It brought the action to a more familiar surrounding - Earth. Look, I'll do my best not to give too much away. I'm aware Belgium is one of the earlier releases. I've been warned of dire complaints and annoyances by a friend already... I'll try to be gentle! More after the break. So, it was opening day of the movie I've been most desperate to see since I first glimpsed the trailer. Over the past two weeks, I've also followed up on the other footages and what not Marvel and Disney put on Apple Trailers. It has indeed been a very long time since I bothered to go out on opening day for a movie. Nothing has given me that impetus for a while, until now. Early critical responses have been pretty overwhelming. I was quite surprised to see and hear some of the comments. Generally, this means my expectations are raised to such a level, the movie will never be able to deliver. I was wrong. Boy, did it deliver and exceed every expectation. To be honest, some parts of the movie and storyline were a little difficult to follow. I especially needed to concentrate when Jeremy Brenner (Hawkeye) was chatting away during a busy scene. But that may just be me having trouble understanding him and the way he speaks. This really is minor and doesn't detract from the movie. If you've followed the Marvel string of movies of late, from the first Iron Man (and its sequel) to Captain America, the story is quite clear. Everything before all quite logically ends up at this point - an all out battle for supremacy. Be warned though, it does start a little slow. I expect it's to get people who haven't watched the other "prequels" or have forgotten about it to catch back up. Frankly, I've seen all of them (except Thor which I found to be the weakest of the lot) many times so I'm quite familiar with this Marvel universe. But it all picks up quite quickly. If you let yourself relax too much, you might actually miss a few things. So do keep your wits about you even if you think you know it all already. I have to admit, though, that a lot of the stuff is really fantastical. But isn't that what movies are all about? Stirring our imaginations and showing us what we know is not possible, yet it's there, happening, on screen. That's the magic of cinema after all. And The Avengers has it in abundance. The action sequences were spectacular. I didn't watch it in 3D and do I regret not to have. However, some cerebral damage might occur because so much happens at such an amazingly quick, yet followable, pace. Not having been a massive fan of His Hulkness, I was a bit doubtful about the return of the green beast in this movie. Once again, my preconceptions were misguided. 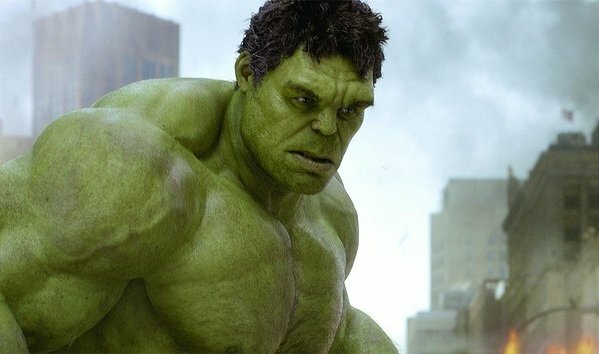 The Hulk's role was excellently portrayed by Mark Ruffalo. The role also added some welcomed "breaks" in the goings on. I shall say no more. Something I didn't know before watching the movie, Cobie Smulders (from How I Met Your Mother - one of the only series I still follow) plays one of the S.H.I.E.L.D. agents. She wasn't half bad in her silver screen time. Still see her as Robin though so I couldn't taker her too seriously. Anyways... Story is good. Acting is good. Comedic elements, excellent. Music, great. Effects, brilliant. I can't possibly dish out more compliments now, can I? Go watch it. I'm going back this weekend for some 3D treatment. And probably more after that. If this doesn't prop up the humongous ($200 million) losses stemming from John Carter, I don't know what will. More than $1 billion box office? I don't see why it wouldn't. Small gripe, not the movie, but Marvel's marketing twats. Why on earth did you set your website to track my geolocation and then give me the whole thing in Dutch? Did you know that people in Belgium have three official languages? And I'm not currently making use of any of them. Put a bloody language/location choice on your stupid website! Crying out loud...!